At its big event this Monday, Apple finally unveiled its subscription TV streaming service, which will be called … Apple TV+. Please do not confuse it with Disney+. 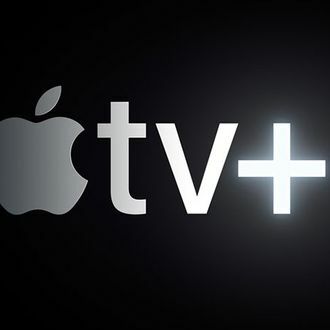 The Apple TV+ service will debut this fall, and include original programming from the likes of Oprah Winfrey, Steven Spielberg, Jennifer Aniston, Reese Witherspoon, Octavia Spencer, J.J. Abrams, and more of Hollywood’s elite. The service will be ad-free, though pricing and availability will not be announced until “later this fall,” according to an Apple press release. To announce the service at Monday’s event, Apple included a short film of its Hollywood stars talking about the power of stories, which will definitely remind you of an extremely vague college humanities lecture class. In addition to debuting the service, Apple included presentations from some of the celebrities who are developing projects for Apple TV+, including Aniston and Witherspoon’s teaser for The Morning Show and Oprah’s rousing speech about culture, technology, society, and what she’s calling the world’s largest book club. Apple also released a clip reel that offered a tiny peek at the shows that will appear on the service, including The Morning Show, Jason Momoa fantasy series See, Hailee Steinfeld’s young Emily Dickinson series Dickinson, and others. Along with all that, Apple debuted a new look for the Apple TV app, which will arrive in May ahead of the streaming service’s launch. The redesigned app will let you subscribe to various channels and download shows available online and off, alongside a personalized new recommendation format.